And understanding, too . . .
Of a true and trusted friend . . . 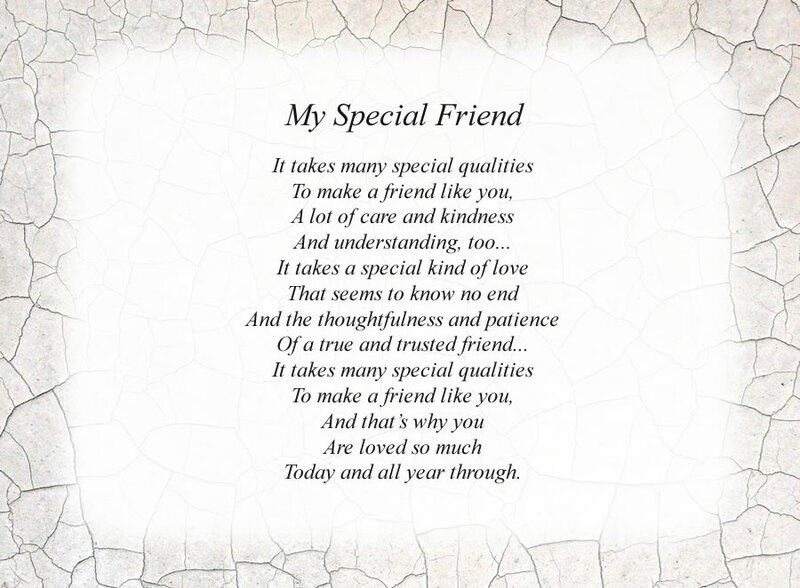 The poem, My Special Friend, is free and printable by opening or downloading using one of the three links below.